Steam rises from the Snycrude complex in the Athabasca River oil sands area of northeast Alberta. Bitumen, a tarry paste mined from Canada’s oil sands, fueled a boom a decade ago. MERRITT, British Columbia – As police in riot gear swept the last protesters from camps near the Standing Rock Sioux Reservation in late February, two dozen men and women arrived in this small ranching and lumber town 1,200 miles to the northwest. They were armed with maps, posters, doughnuts and coffee, and hoped to sell locals on an oil pipeline – one larger and potentially more hazardous than the Dakota Access. The 14 other First Nations directly on the pipeline route already had agreed to welcome crews onto their reserves in exchange for money and jobs from the company. By voting yes, the Lower Nicola could get a similar deal – a tempting offer in a remote community where many live in poverty. Voting no would send a powerful message – a boost for the coalition of indigenous people and environmentalists battling Trans Mountain. But it likely would be largely symbolic: In November, Prime Minister Justin Trudeau declared no First Nation would have veto power over this pipeline. Kinder Morgan workers, dressed in matching green outfits, host an information session about the Trans Mountain pipeline project in Kamloops, British Columbia. As in the U.S., by law, the Canadian government must consult with First Nations about major development on their land. Those consultations haven’t been the same as asking for permission. But recent rulings in Canada’s courts have said indigenous people could stop a project by withholding their consent – especially in British Columbia, where First Nations never signed their land over in treaties. Steam from oil production facilities blankets the horizon along a highway near a Fort McKay First Nation reserve in Alberta. Since the band began doing business with the oil industry in 1986, its corporation’s annual revenue has grown to $73 million. But the journey begins in northern Alberta, about 2,000 feet below a thick forest of birch, fir, spruce and pine, in a layer of oily bitumen – a remnant of marine life that sank to the bottom of the sea that once covered the province. This tarry paste is what will fill the new Trans Mountain line, unrefined and diluted with a light mix of chemicals to ease the flow. Violet Clarke, a member of the Fort McMurray First Nation, lives on a reserve in the Athabasca River oil sands area in Alberta. She says the water has become so polluted that she’s been warned not to eat more than three fish a week. Fort McKay First Nation, a reservation in northern Canada, is home to nearly 400 indigenous people. It began as a trading post for fur trappers, and the land continued to be used that way until the mid-20th century. Then trapping became less profitable, as petroleum operations started to surround the community. In a December speech, Chief Jim Boucher of the Fort McKay First Nation told his counterparts that environmentalists were "the ones who, at the end of the day, were successful in creating poverty in northern Canada." “Please don't buy into the environmentalist argument," he said. Today’s consultation over Trans Mountain bears the weight of that history. Many land defenders wonder how much has changed if construction plans can roll right along even though – as the resistance slogan goes – their answer is still no. Last year’s federal filings from the Tk'emlúps te Secwépemc nation showed about $2.2 million in a trust account labeled “Kinder Morgan mutual benefits agreement.” With fewer than 1,400 registered members, the deal is worth around $1,600 a person. First reported by the local paper Kamloops This Week, it’s the only deal amount that’s been made public. According to two activists, Janet Campbell and Rodney Yellowdirt, council members agreed to use First Nation money – including proceeds from its deals with oil and gas firms – to pay Burnstick’s defense team. 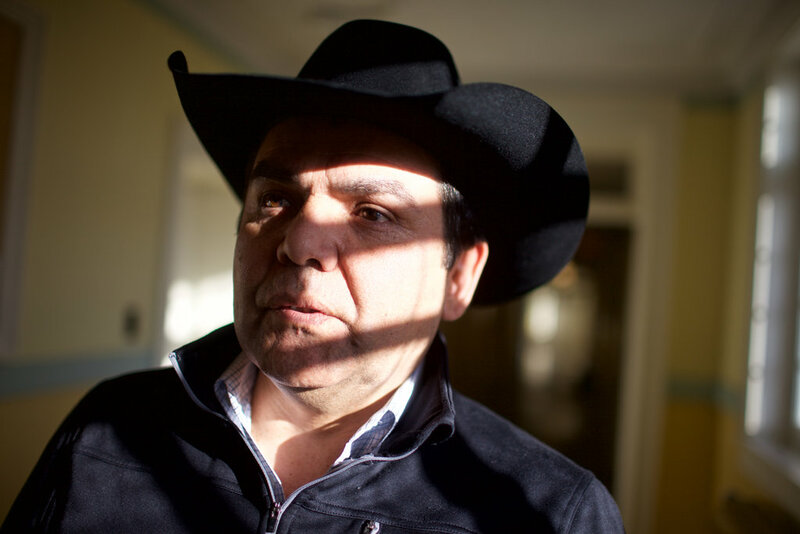 Michael LeBourdais, chairman of the Tulo Centre of Indigenous Economics and former chief of the Whispering Pines/Clinton Indian Band, is organizing a group of First Nations on the Trans Mountain pipeline route to fight for the right to tax the oil. Most importantly, he said, these financial arrangements are opportunities to force industry and government to recognize First Nations’ land rights – empowerment through bureaucracy. 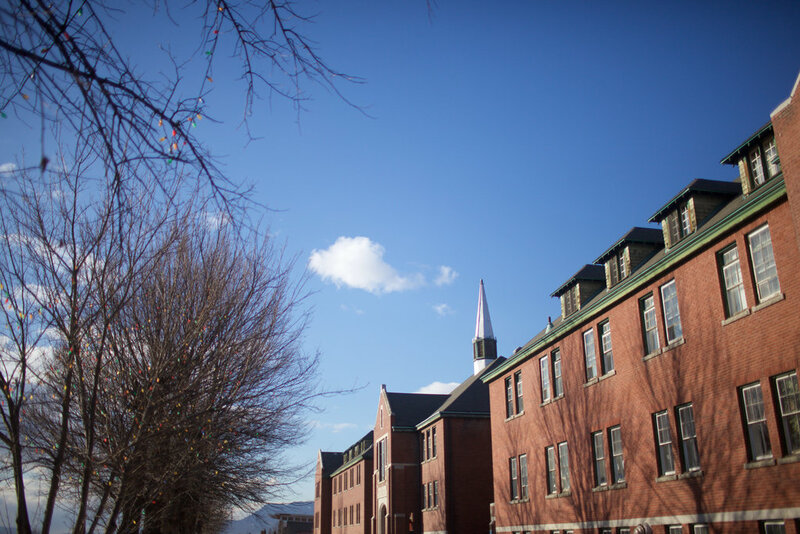 The Kamloops Indian Residential School was once part of the Canadian government’s “aggressive assimilation” program for indigenous children. After the school closed in 1977, local First Nations took ownership of the building. After the Kamloops school closed in 1977, local First Nations took ownership. Some hoped to see it torn down, but leaders decided to keep it for practical reasons – lots of office space – and to remind people across the river of the horrors that took place as they and their ancestors looked on. 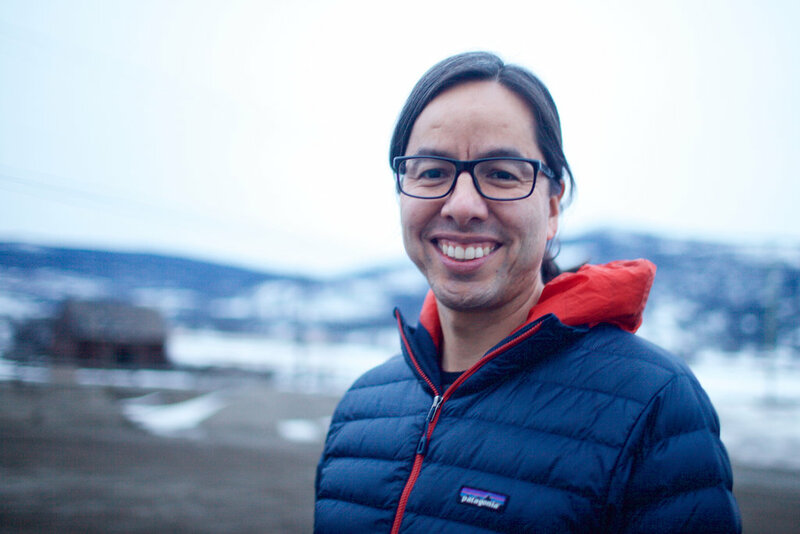 Aaron Sam, chief of the Lower Nicola Indian Band, was an early critic of the way Canadian officials handled the Trans Mountain pipeline project. He’s worried about the environment and believes the government’s consultation was too cursory. “What happened at residential school … still affects all aspects of everything that happens in our communities politically, in the family and in places like this – in our offices – and even in our negotiation tables with these big multinational corporations,” he said. 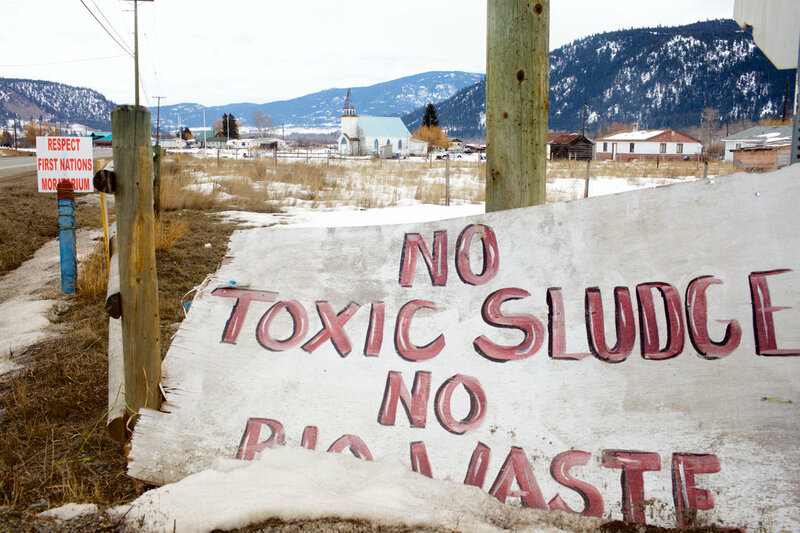 Signs around the Lower Nicola Indian Band Reserve remain from a victorious 2015 campaign to stop a program that trucked treated waste from suburban Vancouver into their valley. 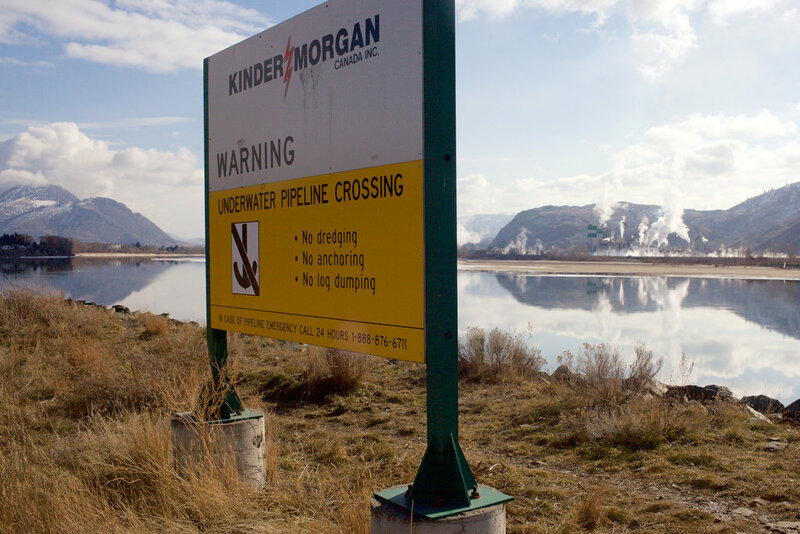 A Kinder Morgan Canada sign marks the spot where the Trans Mountain pipeline crosses the Thompson River in Kamloops, British Columbia. "They'll look for soft spots in the system,” he told reporters last fall, “and it's my job to make sure there aren't any." 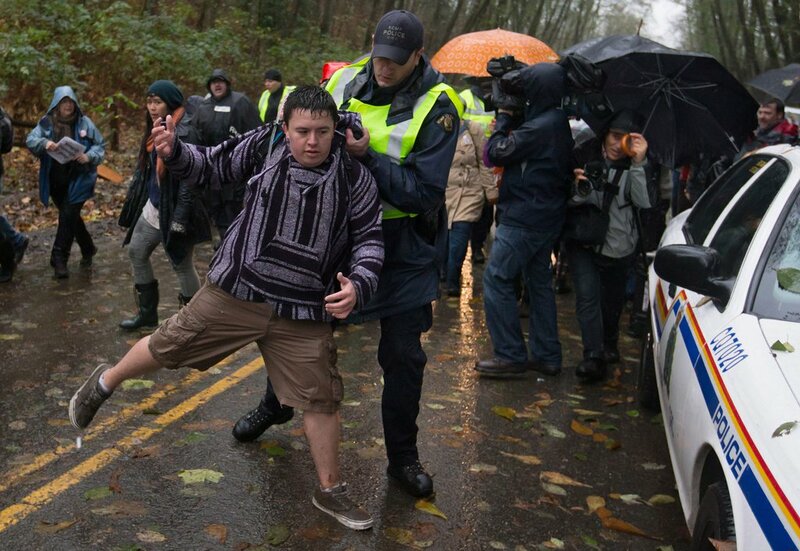 A Royal Canadian Mounted Police officer removes a protester from a road on Burnaby Mountain in British Columbia soon after Kinder Morgan began clearing trees in 2014 to make way for drilling equipment. Tankers load oil in the Burrard Inlet, a port of Vancouver. Today, about one tanker loads up each week; if the second Trans Mountain pipeline opens, the rate will increase to one a day. Charlene Aleck, council member of the Tsleil-Waututh Nation, whose name means “people of the inlet,” says her community has adapted to life in a growing port city with some development, but collectively, the Tsleil-Waututh “saw no huge benefits” from the Trans Mountain pipeline. Ian Campbell, chief of the Squamish Nation near Vancouver, said that the decision seemed like a foregone conclusion – and that Trudeau delegated the government’s consultation to Kinder Morgan. Squamish First Nation Chief Ian Campbell says his band thinks that Prime Minister Justin Trudeau’s approval of the Trans Mountain pipeline was a foregone conclusion and that the government shirked its duty to consult First Nations. How much consultation is enough? What should that consultation look like? And how many First Nations must support a project before it can proceed? These questions are part of a rapidly shifting area of Canadian law – a delicate dance between the competing goals of development and reconciliation. But the results put him in the mind of the recent past, when his people’s stewardship of the land wasn’t even in question, and of a future – not here yet, but drawing nearer – when they can claim that role again. “In our territory, it was 1808 when Simon Fraser first came down the Fraser (River),” Sam said. “And the area didn't have a lot of settlers in here until the middle or late 1800s. And back then, it was our land. Trevor Jang of Discourse Media in Vancouver contributed to this story. It was edited by Amy Pyle and copy edited by Nadia Wynter and Nikki Frick. Web and map design by Scott Pham. Geographic data from Natural Earth, Transmountain, and Alberta Environment and Parks.